The development team says 'SSX' just needs that last little bit of polish. Game delays are never fun for fans, especially when it comes to a game like 'SSX.' It's a new take on a classic franchise and this additional two weeks is the second time the game was delayed. What separates this delay is that the game's developers are being up front about what's going on. In a letter to fans, creative director Todd Batty tells fans that these last few weeks are going to be well worth waiting through. He says that every project he's ever worked on could have been just that much better with a little extra time. "Time to do all the little things that may not be noticeable during the first hour or two playing the game," writes Batty, "but are appreciated over the course of days, weeks, months and beyond." 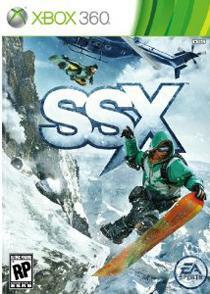 'SSX' will now be available on February 28th in the U.S. and March 2nd elsewhere. It's available for preorder on Amazon now along with a $10 credit.